Changing Partners was first presented in a full-house, one-night-only Stage Reading at the Virgin Labfest in July 2016. 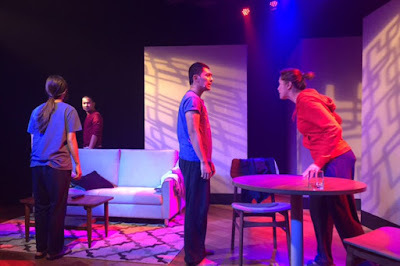 The Virgin Labfest, spearheaded by the Writers’ Bloc Inc., is a festival of new plays by emerging and established Filipino playwrights held annually at the Cultural Center of the Philippines (CCP). The staged reading featured actors Ricky Ibe, Patricia Ismael, Giannina Ocampo, and Sandino Martin and was directed by Director Rem Zamora. In November 2017, Changing Partners: A Torch Musical transitioned from being a theater musical to full feature film. Under the direction of blockbuster movie director, Dan Villegas, the film starred the same cast as the full musical theater production and was a film entry at the 2017 Cinema One Originals Film Festival. Changing Partners - The Movie won eight awards: Best Director (Villegas), Best Actress (Isidro), Best Actor (Lorenzo), Best Acting Ensemble (Isidro, Lorenzo, Luna, Martin), Best Editing (Marya Ignacio), Best Music (DeJesus), Audience Choice Award, and Champion Bughaw for Best Film. Because of its success and critical acclaim, Changing Partners – The Movie was given a nationwide commercial release in January 2018. The movie also released the Changing Partners – The Movie Original Soundtrack on Spotify. Produced by Star Records, select song from the musical movie were covered by Star Music artists KZ Tandingan, Jona Viray, Khalil Ramos, and Daryl Ong. 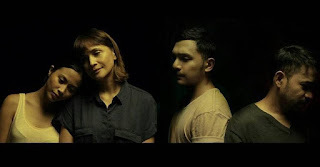 In February 2018, it won big at the 34th Movie Press Club of the Philippines – Star Awards 2018, bagging five awards under the Independent Film Category: Best Film, Best Director (Villegas), Best Screenwriter (DeJesus and co-writer Lilit Reyes), Best Editing (Marya Ignacio), and Best Music (DeJesus). Ticket prices for all shows except May 12 (7:00 pm) are Php1200 (VIP), Php1000 (Orchestra Center), Php800 (Orchestra Sides), Php1000 (Balcony Center), and Php500 (Balcony Sides). *The May 12 (7:00 pm) show is sponsored by the UPCM Class of 1998 as a fundraiser for the benefit of the National Children’s Hospital Pediatric Surgical and Cancer patients. Ticket prices are Php1500 (VIP), Php1300 (Orchestra Center), Php1000 (Orchestra Sides), Php1200 (Balcony Center), and Php800 (Balcony Sides). You can book your tickets through Ticketworld (http://bit.ly/CPticketworld). You may also call or text (0945 499 1008) or send a message to the PETA Theater Center Facebook page (https://www.facebook.com/PETATheaterCenter/) for inquiries and reservations.